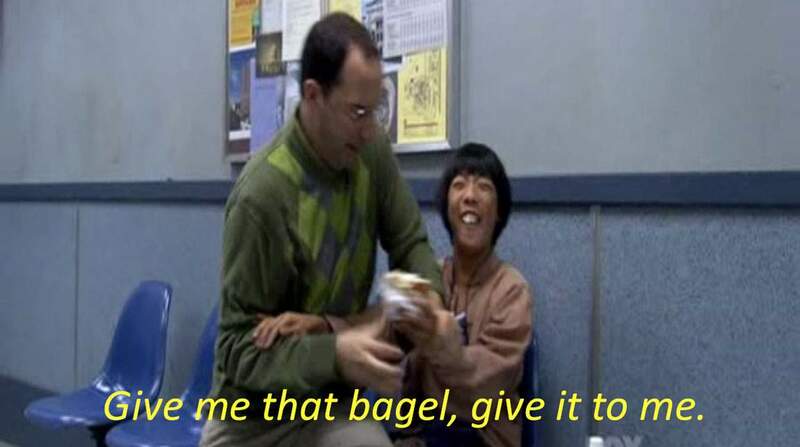 You might not have to travel as far as you thought to get your fix, because Brisbane's experiencing a rather tasty bagel boom, and it's hitting taste buds hard. Good bagels are few and far in Australia. Sure, you can find a sausage roll or pie any time of any day, but no amount of flaky pastry and questionable meat filling can satisfy a fresh, soft dough hankering. A need for something dense, doughy and bagelly delicious. 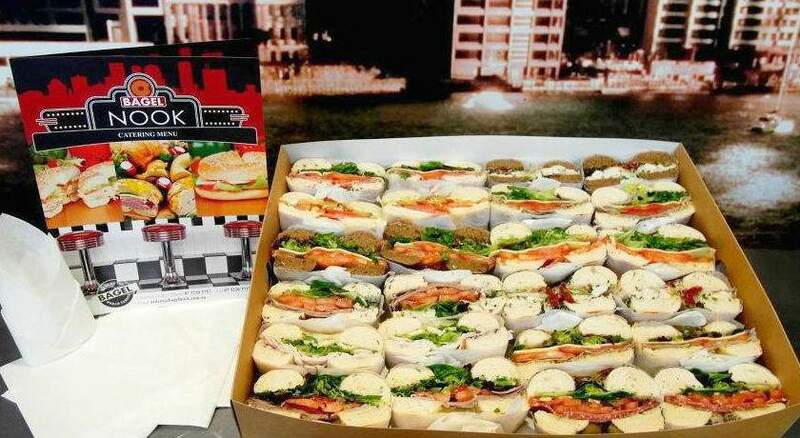 However, you might not have to travel as far as you thought to get your fix, because Brisbane's experiencing a rather tasty bagel boom, and it's hitting taste buds hard. Scout has perfected everything a bagel should be: packed to the brim with a glorious amount of meat, a wholesome dollop of tomato relish and a touch of rocket to keep things healthy. 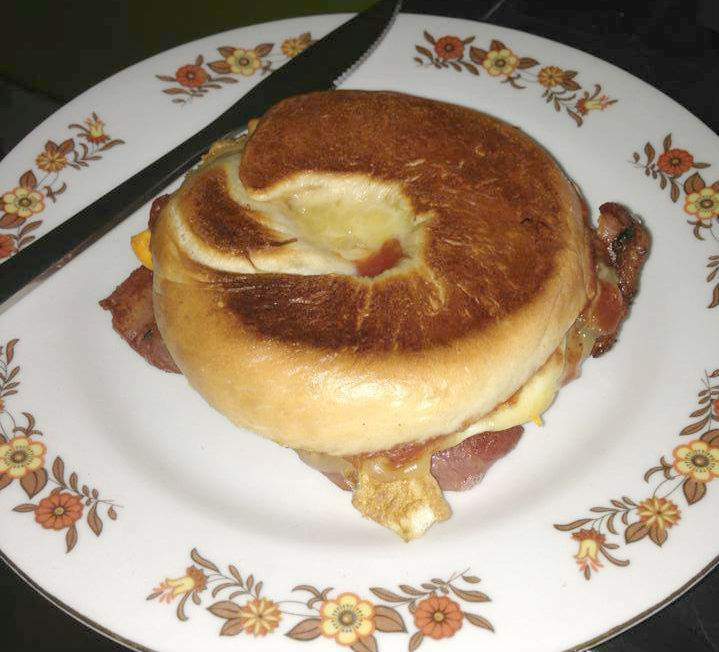 Their breaky bagel is a menu stunner, lashed with rich kaiserflesch, egg, chedder and a dynamo relish and aioli duo. 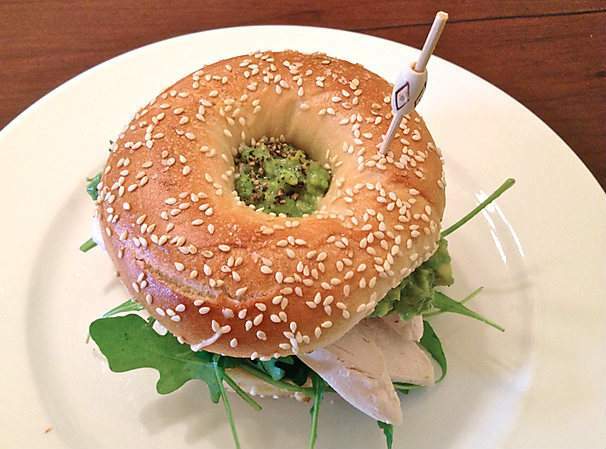 Scout's lunch menu holds more bagel treats, with spiced chicken, guacamole, cucumber, chipotle mayo and iceberg headlining alongside haloumi, roasted zucchini, Moroccan spiced carrot, hummus, aioli and rocket. Pair your Scout bagel with a coffee, or better still a banana milkshake, and find yourself in a tummy-hugging daze – beware the addiction. Hailing from the Sunshine Coast, these guys dot up all around Brisbane with their tasty selection of bagels and a crowd to complement. 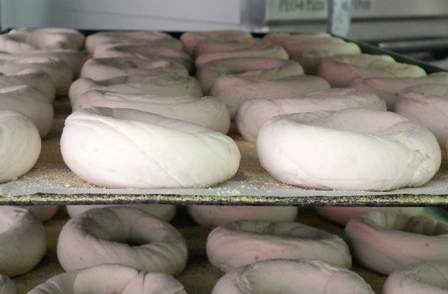 The boys mix, roll, boil and bake their bagels in a traditional recipe that took them four weeks of practice to perfect – they've even been praised by New Yorkers, saying their recipe is better than any yankee bagel. You can find them selling bagels at Noosa Farmers Market on Sundays, Queens Street Mall Markets, Brisbane every Wednesday and Powerhouse Markets, New Farm on the 2nd and 4th Saturday of every month, Eagle Farm, Rocklea, Manly and now also Mitchelton. You could say they are the masters, the boys also supply their goods to Scout and Bagel Nook. 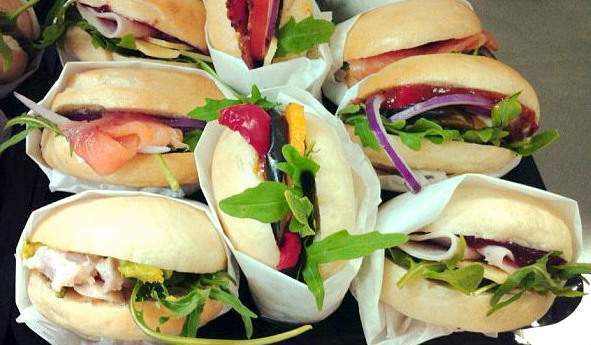 With 11 different types of bagels, this small bakery knows what’s what in the bagel world. Founded by Steve Day after an all too persuasive trip to New York, this café relishes the simplicity of the bagel – sometimes all it takes is a cream cheese and chive filling to spark a bagel addiction. You can eat your bagel, while watching one of the skilled bakers make the next batch from the comfort of your seat – it's the perfect in store entertainment. The original masters of the Brisbane bagel, well worth travelling across town for. With a blackboard that boasts the daily bagel special, and a cabinet of classics, they show a no-fear approach to the perfect bagel. 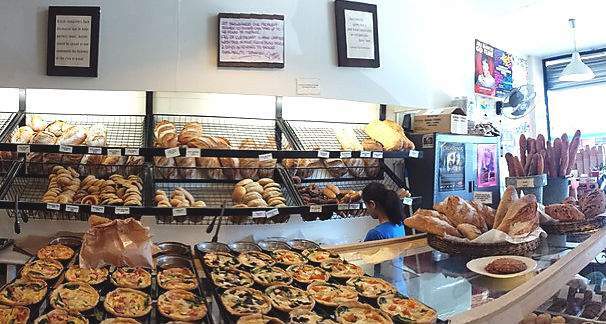 Swoon over the sweet bagels or dig into to something far heartier at one of Brisbane's most established bagel breeding bakeries. Fresh faces on the West End block. Betty's Espresso holds a not-so-secret cure to any hangover – bagels. Down your Bagel of Death Metal with a salted caramel shake, and find yourself spiralling into a John Hughes movie scene as a truly satisfied member of Betty's Breakfast Club. The bagel philosophy at Flour and Chocolate Bakery is a simple one - keep it traditional, and do it well. 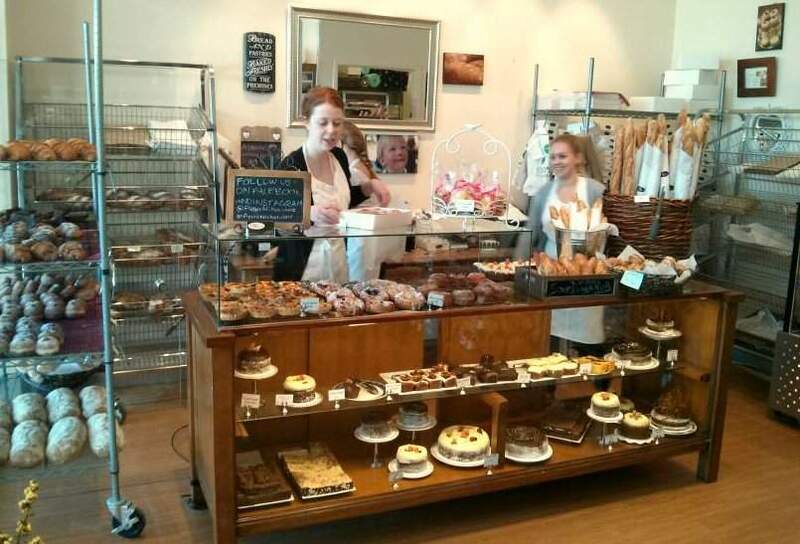 You won't find a ritzy selection of fillings at this Parisian-style bakery - the bagels alone are enough, and needn't be compensated with lavish partners. Flavours include plain, sesame, caraway and rock salt, spanish onion with black sesame, cinnamon raison - our favourite - and if you're lucky, blueberry, all going for just $1.80 a pop, or 6 for $9.50. There's a pack of effort that goes into making a traditional boiled bagel so you can only catch them at Flour and Chocolate on a Friday, making it the perfect place to stock up on bagels of every flavour for the weekend. A classic New York bagel feel right in the heart of our CBD - even if you don't have wheels, you've no excuse for trying this bagel joint. 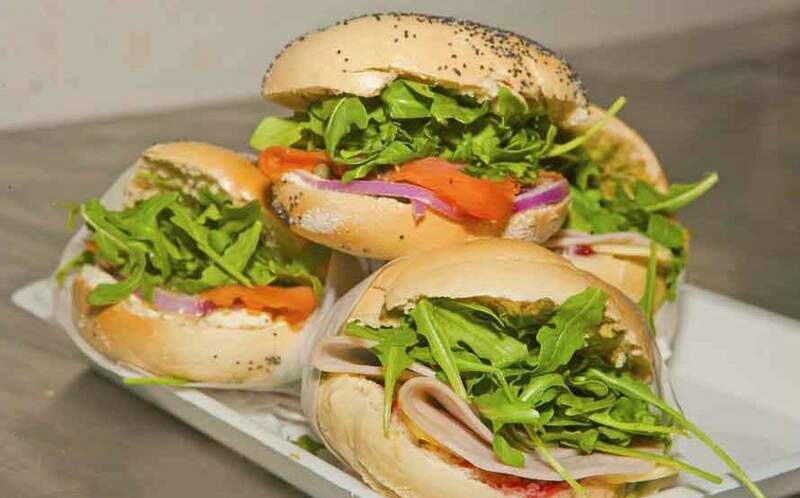 With a bagel filling selection that carries every cuisine and calorie-count, Bagel Nook can be the ideal lunch-break health-kick or indulgent snack. Where there's a bagel vendor within a 10 meter radius of anywhere in New York, Bagel Nook is Brisbane's answer to a closeby bagel fix that won't exhaust the bank or belt line.